During the early ‘90s and well before the internet craze, life for a musician was dramatically different. At the time, up and coming bands could get signed to a major label and stand out among the myriads of acts all vying for a place in history. Success meant a band could play 200 plus shows a year, receive six-figure contracts and sell entire albums that went directly into the hands of their fans. Some of that still holds true today, but the nature of the business has changed dramatically. One such band to emerge from that time period is The Freddy Jones Band. Their story is a case study in the history books and one that deserves close attention to their heartfelt songs, big sound and inspirational lyrics. Call it raw talent or “right place at the right time”, the guys climbed to the top of their game quickly. Granted, they paid their dues playing to empty rooms and working hard, but destiny and fate sure had a plan for The Freddy Jones Band. 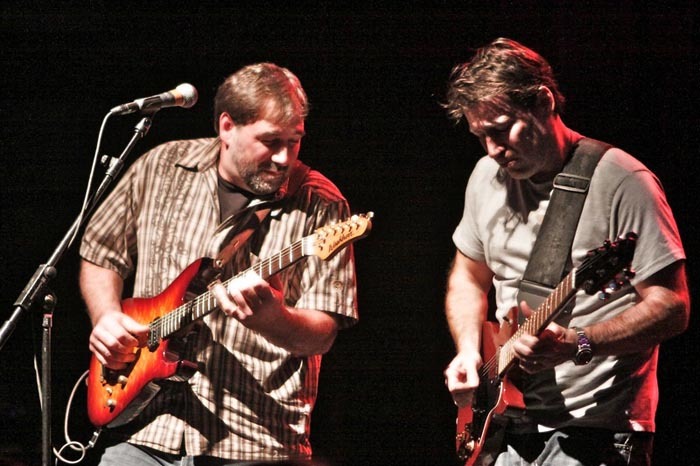 In 1992, The Freddy Jones Band signed with Capricorn Records and began their rock and roll journey to success. Originally from Chicago, they were part of a fresh, new movement of music which was spreading fast to the east and west coast. 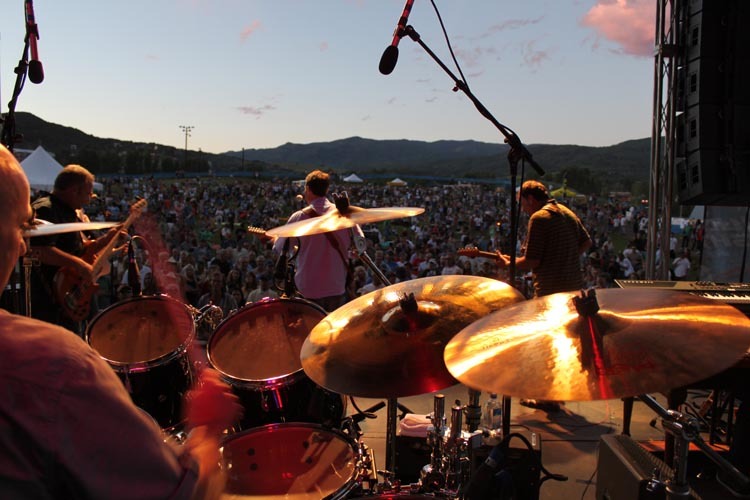 Bands like The Spin Doctors, Big Head Todd & The Monsters, Widespread Panic, Phish, Dave Mathews and The Freddy Jones Band were all part of The Horde Tour and supporting one another through an innocent time. Audiences were ready to embrace this fresh sound and the music sparked the beginning of a new paradigm which set the stage for a wonderful era of music. Starting out in the Midwest and then taking to the road, the Freddy Jones Band traveled relentlessly with their tour bus and devoted fans in toe. Sticking to college towns and ski area’s the band made a name for themselves as a high energy, guitar-driven act. Songs became hits, audiences began to grow and soon FJB was recording albums, gaining national recognition and living the life of rock stars. According to the bands website, “the guys started out as a ‘Jam Band’ but the FJB began concentrating on their own material and Capricorn Records signed the group after its self-titled, self-released 1992 debut sold more than 10,000 copies. The FJB steadily built an audience from there with 1993's "Waiting For the Night," 1995's "North Ave. Wake-Up Call" and 1997's "Lucid" – which reached No. 19 on the Billboard Heartseekers Chart – as well as radio play for songs such as "In a Daydream," "Waitress" and "Mystic Buzz." 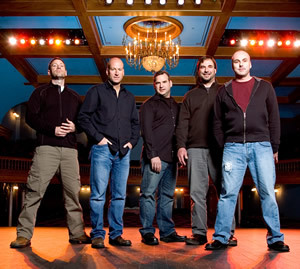 Rolling Stone praised the group's ‘fine line between schizophrenic jam-band and sensibly-minded pop-rock”. 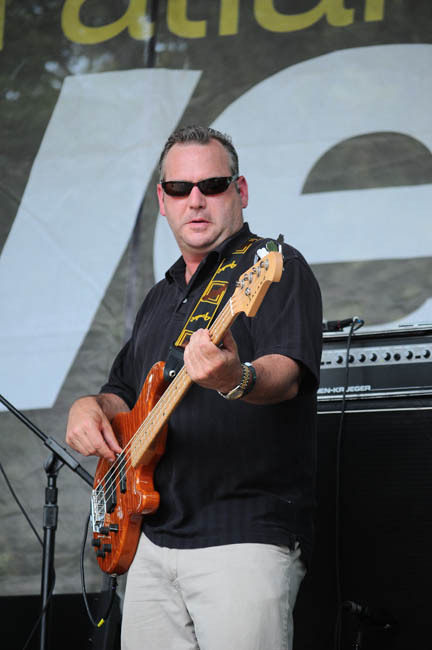 The group's original lineup—singer-guitarists Wayne Healy, Marty Lloyd and Rob Bonaccorsi, bassist Jim Bonaccorsi and drummer Simon Horrocks have been together for close to 20 years and remain a tight-knit group. Each member carries his own weight, works well together onstage and relishes in each musical moment they produce. Songs are addictive and ones you could listen to over and over again without getting stale. For close to 10 years the FJB covered much of the US playing every type of venue including clubs, concert halls, theaters and arena’s. The guys had the honor of opening up for big name acts and shared the stage with some of the best in the business. 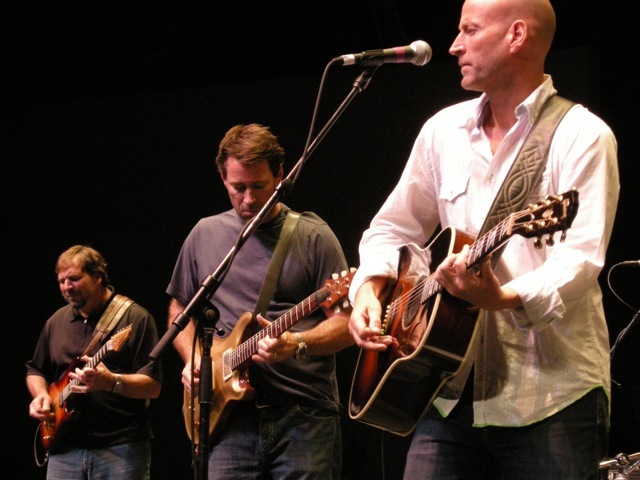 But, in 2000, The Freddy Jones Band went on hiatus for a much needed respite to slow down, concentrate on family and have some semblance of life. The bands most recent album since their break, Time Well Wasted has three new songs in the lineup with ten live tracks that were previously recorded. Home Thing, Contender and Empty Room are professionally done and could be easily played on major radio and satellite stations across America. “Homething” even reached #19 at AAA radio. I hear a different direction though in the overall sound of the new tracks – one that leans more towards an alternative-rock style, without the southern-rock, jam-influenced personality they are known for. This may be proof that the guys have grown up, are looking for something else and want more out of the production. That’s OK though – the rest of the album screams with emotion, exhibits that original sound and soars like an eagle with all the old hits. Songs like The Puppet, And She Cried, Texas Skies, One World and Take The Time are some of the best compositions out there. Nowadays, the guys from FJB are busy with personal lives, raising families and playing scattered shows throughout the year. From what I hear, that’s fine with the band that has the luxury of performing only two shows a month. This New Years Eve, the guys are returning to Chicago to perform two sets on the 31st at a club called Fitzgeralds. I’m sure it is shaping up to be an amazing night of music and the local fans will have their old band back for a high energy performance. On lead guitar and one of the voices for FJB is Wayne Healy. He and I spoke recently about his successful career, stories of the road and where he’s come to this point of his life. Healy is humble, professional and loves talking with journalists who remind him of the great life he’s had being a full-time musician. First off, congratulations on an amazing career over the last 20 years. For a band to break out and attain that success is a tremendous feat. Take me back to 1992 and 1993. I think those were pivotal years for you and the band, playing to bigger rooms and recording the first album. We had been on the local bar circuit in Chicago at that time. 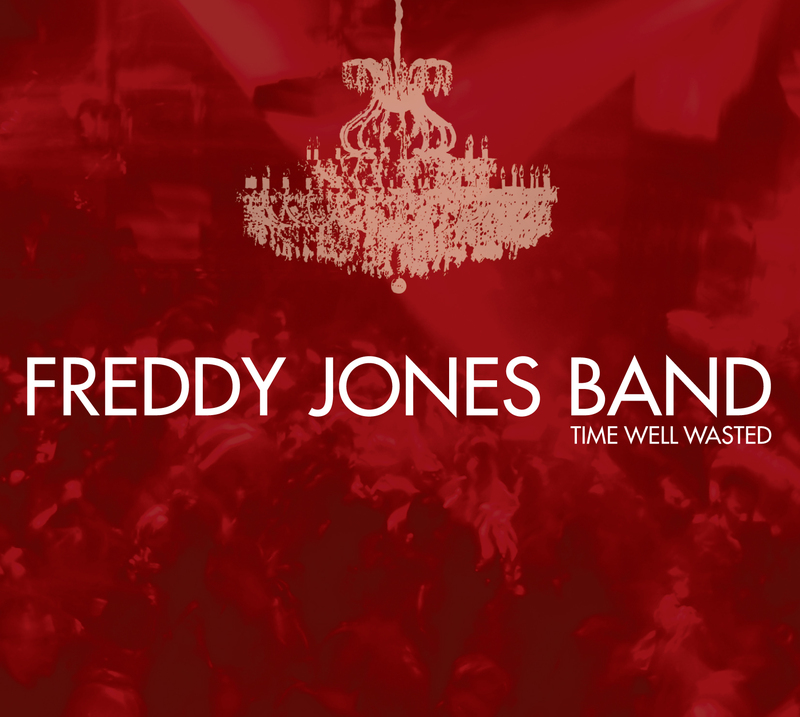 We released our own record, titled “Freddy Jones Band” and it sold really well. We then began to expand in the Midwest and the college markets. Everyone in the band was from Chicago and all of our friends were going off to college. Family members and friends helped us connect all over that region. The band was received really well and we played bigger shows with Big Head Todd, The Samples and bands of that era. It was a great networking opportunity for us to expand outside of the Midwest, which we did. We went to Colorado and played Denver and Boulder and ski towns like Aspen, Vail and Steamboat. We ended up playing a show with Widespread Panic and some of the folks from Capricorn Records were there. They liked what they saw and began to talk to us about making a deal with the company. After signing with them, we recorded an album near Nashville with our friend Justin Niebank who is still close to the band. He’s had unbelievable success with artists that have recorded with him and is one of the top guys in Nashville now. During the early ‘90s, we kind of graduated from a local band to a national touring act. 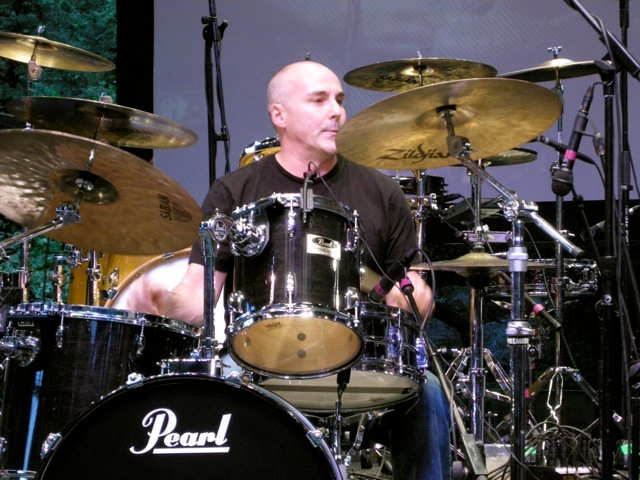 Once signed with Capricorn we got the opportunity to tour with Big Head Todd & The Monsters – they were the first very big tour that started in Montana and traveled all over the west & pacific northwest. BHTM were already playing large venues and were kind of like our big brothers. We are still good friends with them and actually still play shows together. The band and crew showed us the ropes. Fortunate for us we felt like we were part of a community rather than just an “opening band” when we were on these tours. The next big trip we did was with Widespread Panic and we were out with them for at least 4 months which at the time was huge. Playing in front of thousands of people helped build our fan base and most of the demographic and music was similar to our background. On the radio, our music was well received through those years and we made 5 albums for Capricorn. It was exciting and a great run as we grew and grew. To be able to do that was a real blessing and we were fortunate that we never had any serious complications. All of the FJB members feel that we are a true family and we are as close as you can come to blood relatives that you’ll ever have. We spent so much time together and we still get along. In 2000, FJB took a hiatus – everyone had day jobs and families, but were able to get back together real easily in 2005 . To have done what we did playing a couple hundred shows a year for extended periods of time was really fortunate. I definitely don’t miss traveling, I feel like it’s a young man’s game. I do look back with fond memories though. Now, it’s still fun to play the big shows once in a while. Your experience is a case study and one that will be remembered for a long time. Through it all, did you have any reservations, fears, anxiety, stage fright or apprehensions during those early years? Or was it smooth sailing personally and emotionally? It was really smooth sailing to be honest no matter what venue. When we did The Crash Tour with Dave Mathews in a huge arena, it still felt like a tiny club with your five buddies. In the club or arena dressing rooms I always thought the band was still the band and the guys were still the guys. The charm of being on the road with such a close-knit group of guys is what keeps it real for me. The band never got to a point where anyone had huge ego’s or when conflict came into the group. We were so close and worked well together. Since we had two singers in the band, there was never any angst between us. 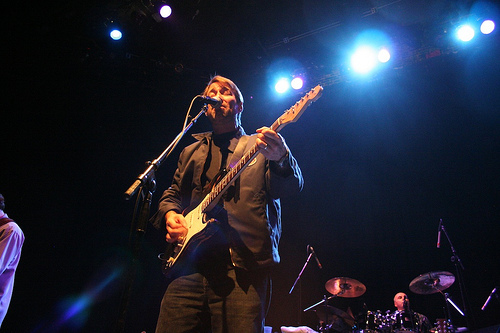 We were in the genre of “jam-band” which has a real steady and non-ego community, without pitfalls. The five of us did a superb job of maintaining relationships and not letting anything get out of hand. Our idea of big production was the lighting. Everyone did a great job of bringing fun to the performance. Looking back, the guys in Widespread Panic were really the greatest in terms of helping us out and showing no signs of competition. When we were on the extended tour with those guys our drummer Simon’s father passed away. Simon had to go home for a while so Todd played with us all those nights and even Sonny played with our band. Everything was set up onstage so it made it easier and they just wanted to lend support. Jo-Jo also played with the band – they knew our tunes and every night there was this rotation of musicians. At the end of the tour we were playing in New Orleans, both bands were up onstage for a couple tunes. It was really special –those guys are such good guys. We learned a lot from them and even got to ride on their bus. Tour managers would have to check each bus to make sure everyone was onboard because of the camaraderie when traveling – switching back and forth. Plus we were all on the same record label. Then we met Warren Haynes who had Gov’t Mule starting up and he would sit in with us. Looking back on those fun nights and doing these interviews help me appreciate those times because the experience was for the most part pretty seamless. 1997 was a big year for you as well as the launch of the album “Lucid”. Talk about the process for that. I’m pretty sure we recorded Lucid at Ardent Recording Studio in Memphis with a guy named Greg Archilla who was the engineer behind all the Collective Soul music. David Z was our producer who had worked with Big Head Todd and Prince . The band started off rehearsing in Chicago with David Z who came up to hear our stuff. We did around 20 songs and 10 were picked. We then went to Memphis and everything came together well. Most of the time was spent in a house in a neighborhood near the studio. Any time you get a band out of their city they live in without distractions, the best albums are made. It becomes one of those things when the chemistry comes together because of how much time is spent with band mates. At the beginning of the song “Take The Time” on your live album I hear guitar licks from U2’s The Edge. I have always used a delay effect on In a Daydream that you hear on Mile High Live. It really helps create an additional rhythmic part and it really lent itself to the tempo in Take The Time and became a part of the live show. The time signature for In a Daydream was very similar and it just worked in terms of keeping the crowd moving. I am a big fan of The Edge, U2 and David Gilmore. Listening to those guys definitely inspired me to embrace their sound. I guess it just all worked out. The new album, “Time Well Wasted” was released recently with three new songs. In terms of a general sound and direction, was there input from a producer or did the band steer the mood of the three new tracks? Our good buddy Rusty Cobb has a studio here in Atlanta, so Marty, Simon and I spent some time crafting those tunes. Once we had the basic elements for the songs we got the whole band to record with Rusty. He acted as the engineer and producer for those tracks. It was definitely time to put out something new like those songs. I wrote Contender about a buddy who lives in Atlanta. Marty wrote Home Thing about growing up on the Lake Michigan shores and Empty Room was written w a local songwriter Sam Thacker from Atlanta . We also knew that we wanted to release some live material of old tunes that people were familiar with. Honestly, we didn’t have enough new material to launch a new record. It seems to me there is a higher power or musical God that waves its magic wand over a band which causes them to propel forward. I am curious if you have ever thought about this or if you have any insight as to which bands get to break out and go national. Bands that have great songs and quality recordings get a shot with program directors who add songs to play lists at radio stations. There are different formats for these stations and FJB did well at the AAA format. Bands that work hard and have a solid fan base seem to propel forward in the industry. Simon our drummer and I were talking recently about how some bands give entire albums or music away for free in a trade off for people coming to the their shows . Instead of record sales being an income, the tradeoff is “here is the free music, but please come to our shows to hear the music”. Touring has to be a great generator of income these days. At the end of the day, if people like your music and radio stations play your song’s, exposure is the name of the game. In today’s age, with all the high speed social marketing, if you have a good song people will notice and spread the word. There are bands that will always be on labels, but the others still have an opportunity to be heard by millions of people through the digital outlets at such a quick pace. When we started, there weren’t any cell phones or internet. It has come so far. Change has taken over whether or not a band breaks out. You just announced a New Year’s show? Yes, we are playing a spot that we used to play back in the day. It’s a great room with a famous owner – a guy by the name of Bill Fitzgerald who has been doing shows there for at least 30 years. He is a strong advocate of really good music and it was our stomping ground when we were first starting out. The venue is in a good spot where three of us grew up and went to high school. This past fall we played there again for one night and it was fantastic – we loved being in the room and it felt great enough to go back for New Years. Online there are video’s of you playing as a trio? I had a trio when I lived in Chicago right after the band went on Hiatus in 2000. 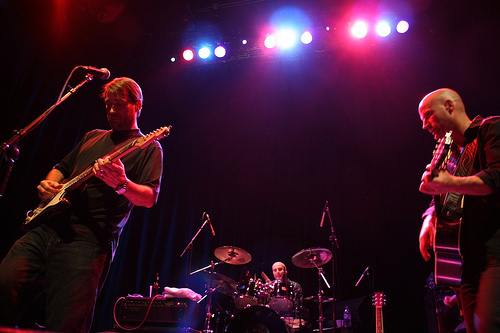 The two musicians I played with, Larry Beers and Bob Lizik are monster players and it was a pleasure playing as a trio when you’re used to a full band. If I had more time, Simon and I would have a trio. But, time is limited. My outlet is writing these days. Freddy Jones Band played about 20 gigs this past year so two gigs a month is a perfect situation for me. Keeping a good balance of family and playing is really important. We’re going to do Rock The Boat in 2012 and are excited to play with so many different acts. Although, we’ll be the old guys on the boat. What about 2012? Are you setting your sights for the coming year? At this point, we have written a handful of songs and continue talking to our friend Justin Niebank about making a record. He has a great place in Nashville and it will be an honor working with him. We have a long time friendship in place with Justin who was the producer on our first Capricorn record Waiting for the Night. Since playing music is not everyone’s first priority, it’s hard to get the guys together. We have about 5 or 6 solid songs that we could put on a record and continue writing. Marty and I do iChat and that’s how we write songs together. We set a time to get together, log on to the computer and collaborate that way. We can give feedback instantly. It’s the Freddy Jones Band in modern day. Thanks for your time Wayne. Good luck in the coming year! Have fun on New Year’s Eve – that will be a special night.